This William Hill Review attempts to provide all the details needed to register and bet at one the world’s leading online bookmakers. With the lift on the federal ban on sports betting William Hill (WH) has moved into the States of Delaware and New Jersey to go along with Nevada and is expected to spread across America rapidly in the coming months, so be sure to keep a lookout. William Hill Welcome offer Up to $50 on first deposit. Welcome Bonuses give users an added incentive to join a platform by giving away free bonus money or free bets when a player registers and makes a deposit at a site. Terms and conditions may apply which prohibit users from withdrawing bonus funds or bets until certain requirements are fulfilled. The WH Mobile Welcome Bonus applies only to new users form the State of Nevada. and includes up to $50 in bonus cash which can be claimed by registering for a mobile betting account and making a first deposit. The bonus amount awarded will be 10% of your first deposit up to $50. For example, a $200 first deposit will get you $20 in bonus money. The offer expires February 28, 2019. William Hill Opinion: The Welcome Bonus is not particularly enticing compared to other popular sportsbooks that offer 100% bonuses on first deposits up to much larger maximums. The bonus also has a minimum deposit of $50 and a wagering requirement that states the bonus will only be released after the total initial deposit amount has been wagered through once. 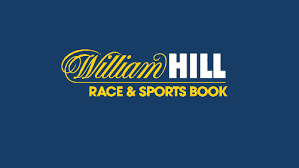 William Hill currently provides US-based users will a limited range of betting markets which include Football, Soccer, Basketball, Baseball, Horse Racing, Hockey, Boxing/MMA, and Auto Racing. The lack of a wide range of sports is somewhat made up for by the extensive range of betting markets available for each sport. A number of prop bets and specials are available for most sports giving users betting markets they may not be able to access at most other American sportsbooks. For example, special Football bets are available each week for Football Sunday with boosted odds. Vikings Vs Rams (September 28th) – WH Sportsbook gives odds of +260 and -330 in American odds format. Another leading sportsbook 888Sport gives the same money line +250 and -315 respectively. This means that if you were to bet $10 at William Hill US on the Vikings you would receive $36 and $10 at 888sport would get you $35.50. Similarly, Baseball, Ice Hockey and Basketball odds are amongst the highest coming from American Sportsbook. Soccer odds aren’t as high as some of the premium European Sportsbooks such as Pinnacle; however, the odds to fall in line with other popular sportsbooks such as bet365 and 888sport in the region. WH offers solid-quality live streams that is available on select sporting events. Generally, only very popular sporting events such as special pay-per-view fights and large championships like the Football World Cup are available via live stream. A schedule of events which will be live streamed can be found ahead of time. You will need to have a funded account or have a real money bet to access to the streams. High-speed broadband internet will also be required for a steady good quality stream. A list of live bets are available in the in-play section of the WH website. There are a limited selection of live betting events with an emphasis on whatever sports are season at the time. Perhaps the most impressive feature that this William Hill Review came across was the award-winning mobile application. The app is very user-friendly and available on both Android and iOS devices. With almost all the same capabilities that are available on the browser-based client, the mobile app gives users the chance to keep track of their bets with notifications and make quick deposit and withdraws from anywhere in the State. What follows are the various William Hill Banking options for NJ and NV. A minimum of $20 is required to make a deposit from any method on the site. Cash at the Sportsbook will have no fees. Visa, MasterCard and E-check deposits and withdrawals. Users can contact the customer support team via Live Chat, E-mail and Phone. In general the support staff has been found to be very responsive and polite, taking care of issues very efficiently. This William Hill Review concludes that the new sportsbook has a long way to go but should be considered one of the leaders in paving the way for online sports betting in America. Keep in mind that the Welcome Bonus is currently available, giving new Nevada users up to $50 in bonus cash when they sign up for a mobile account!